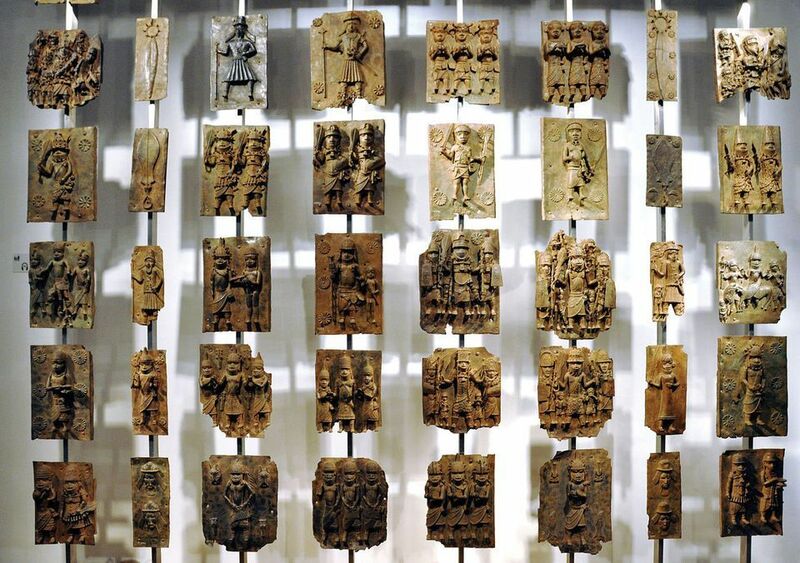 Nigeria has presented plans for a new Benin Royal Museum that would permanently display historic art from the region, including bronze sculptures plundered from the Benin palace by British troops in 1897 that have since found their way into European public collections. The Benin Dialogue Group, bringing Nigerian representatives together with museum officials from Austria, Germany, the Netherlands, Sweden and the UK, said they agreed on a three-year time-frame for a permanent display in a new museum at a meeting in the Dutch city of Leiden on 19 October. “I am happy that we are making progress in the effort to give our people the opportunity to once more access our heritage that was looted,” said Prince Gregory Akenzua (Enogie of Evbobanosa) of the Benin royal family. British troops launched a “punitive expedition” to take Benin City in 1897 and plundered the royal palace, seizing an estimated 4,000 pieces, including bronze reliefs, shrines, and artefacts carved out of ivory. The Benin Dialogue Group comprises European museums that later acquired these works, including the British Museum, Berlin’s Ethnology Museum, Vienna’s Weltmuseum and the National Museum of World Cultures in Leiden. The Nigerian members represent the Edo State government, the Royal Court of Benin and the National Commission for Museums and Monuments. The museums have all agreed to contribute artefacts to the Benin Royal Museum on a rotating basis, to provide advice as requested on building and exhibition design, and to cooperate with the Nigerian partners in developing training, funding and a legal framework for the display in the new museum. The Benin Dialogue Group met in Cambridge in 2017 and will meet again in 2019 in Benin City, in 2020 at the British Museum, and in 2021 in Hamburg.